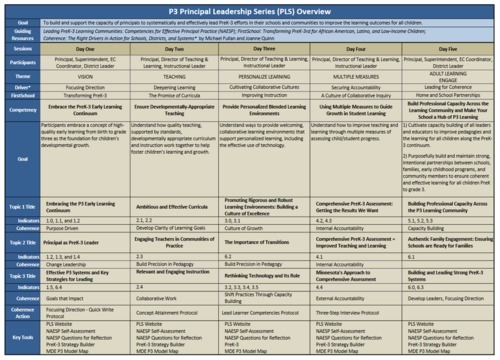 The PreK-3 Principal Leadership Series provides “a structure and a set of principles that can guide principals in creating and supporting connections” between the intersecting worlds of PreK and K-12. School leaders will have opportunities to learn from national and state PreK-3 leaders on the principal’s role in leading PreK-3. Participants will reflect on their current context and needs identified through self-assessments. There will be time to discuss new, research-based information and create action plans to support effective PreK-3 implementation.The Leadership Series is designed to develop principal competencies outlined in the National Association of Elementary School Principals’ Leading Pre-K-3 Learning Communities: Competencies for Effective Principal Practice. Goal: To build and support the capacity of principals to systematically and effectively lead PreK-3 efforts in their schools and communities to improve the learning outcomes for all children. Leading Pre-K-3 Learning Communities: Competencies for Effective Principal Practice from the National Association of Elementary School Principals (available on next tab). FirstSchool: Transforming PreK-3rd Grade for African American, Latino, and Low-Income Children, edited by Sharon Ritchie and Laura Gutmann (click here). Click Here for overview document showing key components from each resource. The main focus of our work is the six competencies from NAESP. The first attribute is quality leadership. Students perform better when the principal and school board members provide strong leadership. Effective leaders are visible, can successfully convey the school's goals and visions, collaborate with teachers to enhance their skills, and are involved in the discovery of and solutions to problems. The introductory brief in the series, Principal's Corner: Perspectives on Teaching and Learning in PreK-3rd Grade, establishes the importance of principals as early education leaders. The six briefs take a closer look at principals’ perceptions of what should take place in pre-K and early grade classrooms, while offering recommendations for states and school districts in regard to building principals’ expertise in this area. "The sessions are helpful and full of great information. The team planning time is very helpful and I am in a better position to lead… I can't tell you how much this program has helped me grow as a leader! All I can say is 'wow'!" Click Here, Abbie Lieberman, New America Foundation. See page 18 of report. Click Here, Webinar on Thursday, April 21. 31 principal teams are participating. Cohort III includes satellite site in Fergus Falls for sessions 2, 3, and 4. 43 principal teams participated. Cohort II includes satellite site in Staples for sessions 2, 3, and 4. 64 principal teams participated. These teams represented school districts from 12 of 13 Economic Development Regions. In the first session, we may briefly discuss examples of PreK-3 programs, like the Child-Parent Center program and First School. If you would like to see examples of other PreK-3 models, visit the National PreK-3 Programs page. Steve Tozer, PhD, Professor in Educational Policy Studies at the University of Illinois at Chicago, Founding Director of the UIC Center for Urban Education Leadership. Adam Holland, PhD, Researcher, Frank Porter Graham Child Development Institute, University of North Carolina at Chapel Hill. Doug Paulson, STEM Specialist, Division of Academic Standards and Instructional Effectiveness, Minnesota Department of Education. Doug has experience teaching and as an administrator from kindergarten through 9th grade in several districts prior to coming to the department. He provides leadership as a Board Director on several Minnesota organizations as well as the Council for State Science Supervisors and was appointed to the National Academy of Engineering Committee on Guiding Implementation of K-12 Engineering Education. Doug was named in 2011 as an ASCD Emerging Leader and has presented at National Conferences for ASCD, NSTA, ITEEA, and US DoE. He is currently working on his Ed.D. at Bethel University and is currently working on research projects on data system indicators, gender equity in STEM, and integration of computer science. Doug is active on social media at @DPaulsonSTEM. Sharon A. Ritchie, EdD., Senior Scientist, Frank Porter Graham Child Development Institute, University of North Carolina at Chapel Hill. Yvonne Caamal Canul, Superintendent, Lansing School District, Michigan, 2015 Michigan Superintendent of the Year. FirstSchool partners with school communities to focus on improving PreK-3rd grade school experiences for African American, Latino and low-income children and their families. The FirstSchool team provides research expertise and professional development support in collaboration with districts, schools, administrators, and teachers. Hawai'i Preschool-Third Grade Education Reform Initiative: How Well Did P–3 Work? The RAND Corporation conducted a five-year evaluation of the Hawai'i P–3 initiative from 2009 through 2014. This brief summarizes the key findings, focusing on how the P–3 initiative was implemented and whether it improved third grade reading scores. A: The one person who should attend all five sessions is the principal. The principal should decide who are the best leaders to attend with him/her for each session. Superintendents or other school leaders who can influence PreK-3 in the district/community are ideal for Sessions 1 and 5, since these focus on PreK-3 leadership and include a nationally-recognized superintendent (Day 5). Sessions 2, 3, and 4 focus more on instruction, instructional leadership, and assessment. Directors of Teaching and Learning and other instructional leaders are ideal partners on these days. See the "Overview" tab for more information on the design of the PLS. Q: Where should I park? Is it free? A: Parking is free and is best accessed from Larpenteur Avenue. It is easiest to enter the Event Center from that parking lot as well. Q: We are planning an overnight stay. Are there hotels nearby? A: There are a number of hotels in the Roseville area, which provide convenient access to TIES. One option is the Roseville Radisson hotel (contact the Radisson at 651-636-4567 and ask for the MESPA rate). 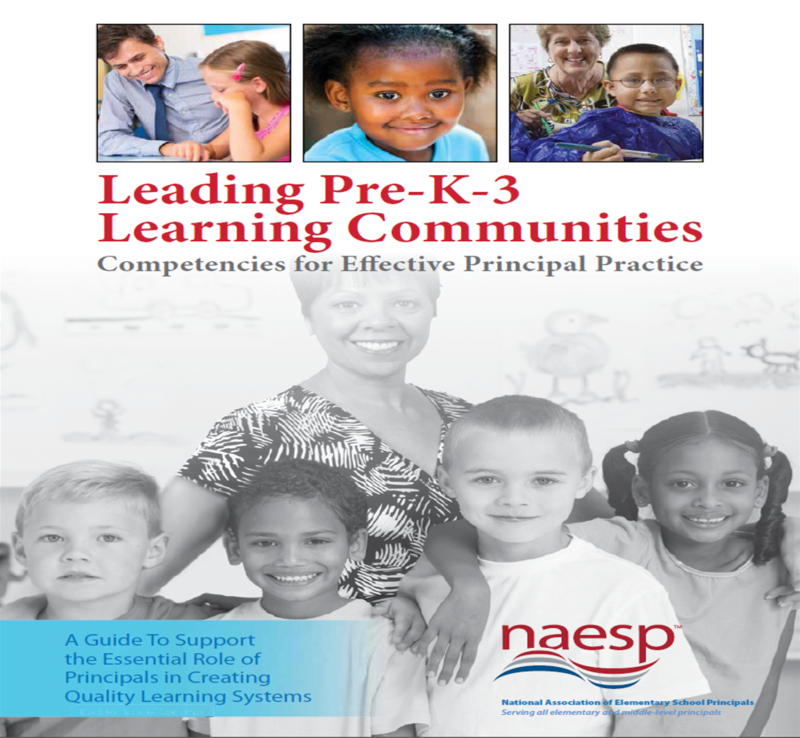 GOAL: Effective principals embrace a concept of high-quality early learning from age three to grade three as the foundation for children’s developmental growth (Leading Pre-K-3 Learning Communities: Competencies for Effective Principal Practice, p. 11). Welcome from Dr. Gunnar, The Gunnar Laboratory for Developmental Psychobiology Research. Leadership for Teacher Learning, Dylan Wiliam, Leadership for Teacher Learning: Creating a Culture Where All Teachers Improve So That All Students Succeed, Click Here. Click Here, Child Development, 88 (5), September/October 2017. GOAL: Understand how quality teaching, supported by standards, developmentally appropriate curriculum and instruction work together to help foster children’s learning and growth. Click Here, Sharon Ritchie, Eva C. Phillips, and Carla Gravitte Garrett, Young Children, 2016. Leadership: Ensuring Developmentally Appropriate Teaching by Adam Holland, Ph.D.
Click Here, 2017, Society for Research in Child Development, 30(2). GOAL: Understand ways to provide welcoming, collaborative learning environments that support personalized learning, including the effective use of technology. See Key Points & Strategies set of tabs below. GOAL: Understand how to improve teaching and learning through multiple measures of assessing child/student progress. Comprehensive PreK-3 Assessment: Getting the results we want, Sharon Ritchie, Ed.D. Click Here, by Donna Wilson and Marcus Conyers, Educational Leadership, 72(2), October 2014. GOALS: 1) Build Professional Capacity Across the Learning Community. 2) Make Your School a Hub of PreK-3 Learning for Families and Communities. Minnesota’s Approach to Comprehensive Assessment, Megan E. Cox, Ph.D.
1.1 Engage your learning community in understanding the importance of the early learning continuum and the transitions along it. Develop a common definition of the PreK-3 learning continuum. Determine what the current early learning system(s) look like in your community. Define and work to learn all the players in our PreK-3 learning community. Talk to people in your learning community about the importance of the early learning continuum. Developed materials that show the early learning continuum, which included key research findings, and transitions. 1.2 Set expectations that the continuum of learning from age three to grade three is fundamental to your school’s mission. Include preschool teachers in Kindergarten PLCs. Principal is active in ensuring that expectations and practices for PreK and K-3 are similar. This ranges from class start times to transportation to the availability of resources (e.g. materials, space, specialists, etc). Principal treats PreK like another grade level. He/she ensures that PreK is always involved, whether it is professional development or building improvement plans. 1.3 Expand the concept of “learning community” to include collaboration among external, as well as internal, stakeholders. Principal makes connections to community preschool providers in addition to other programs that work with preschool-aged children. Meet with community PreK providers to discuss children who will be entering Kindergarten. 1.4 Articulate the long-term value of early learning and the benefit of inclusive early learning to parents and all learning community stakeholders. Worked with our ECFE program to incorporate parenting education into our PreK-3 system. One goal of this was to work with families so that parents/caregivers understand what can be done at home (or out of school) to support children's learning. We gathered internal school data on children reading at grade level. Then, we developed a plan to ensure all children would be reading by grade level (the plan included key benchmarks at by age, starting at two). 1.5 Align funding, resources and governance to support the Pre-K-3 framework. Examined funding to see not only what funding goes into early childhood programming, but also what other funding (e.g. Title I) can be used to support PreK programming and services. Carefully examined the administration of early childhood programs and clearly articulated the principal's role. In addition, we detailed the role of the principal in our PreK-3 work. We will be looking at the role of other administrators to determine their role, or level of support, in early childhood. Our goal is to create one prek program with optional services. In our design, we will look at all funding sources and then blend and braid funds. 1.6 Alignment: Lead and engage early childhood programs and staff consistent with elementary staff. 2.1 Align ambitious standards, curriculum, instruction and assessments so that they create a consistent framework for learning from age three to grade three. Meet with teachers for the next two years to review and power-up standards. Align curriculum and common formative and summative assessments to the standards. Review current instructional strategies and review research on best practice instructional strategies to ensure the ones used in classrooms work. We have begun the work by developing curriculum using the UbD framework. This will allow teachers to build curriculum from standards and learning goals. From there we will create multi-level grade level PLC's to bring teachers together to make connections between grade level curriculum for further discussion, changes and review. Step 1: Develop end of year learning targets/goals for each level PreK-3. Step 2: Determine power standards to be covered at each level PreK-3. Step 3: Align standards, curriculum, and assessments to create a scope and sequence for the year. Step 4: Set up benchmark assessments to progress monitor. Step 5: Set and create sacred data days to review data to help guide intentional instruction and planning. We need to have the mindset that our students come in with limitations, but we can't let that keep us from the mindset that all students are capable of learning and they will pick up on learning quickly. We can't have the mindset that "our students can't do that" because of these limitations and needs. Aligned curriculum to standards, identified/common assessments has been completed in subject areas - but is always adjusted. Vertical alignment of standards is the focus this year beginning with math, followed by ELA. Teams will begin meeting with grade levels above and below during collaborative team times. 2.2 Provide a comprehensive curriculum inclusive of, but not limited to, language arts and math. On Early Release Days once a month, grade level teams will meet with the grade level before and after them to align standards and discuss grade level expectations in language arts and math. We are going to look into the percentages for each block of time in preschool during the day and align them with Kindergarten. Looking at the PreK components to our current reading curriculum. Looking into staff development for School Readiness teachers that centers around a literacy rich environment. We should be able to track students' scores with CBMs, NWEA and other progress monitoring assessments to find out where the gaps are in all subject areas. We have a new Pre-k-5 language arts curriculum that alligns the standards and includes the science, music, and social studies standards. There is also a new math curriculum for K-6 that is aligned to the math standards. In addition to balanced literacy blocks and math, grade levels have prioritized time for science and social in the intermediate grades while primary grades have incorporated science and social into literacy instruction. Students also have specials which include PE, music, media literacy, and art. 2.3 Work with teachers and teacher leaders to develop an interactive, relevant and engaging early learning curriculum. Our teachers have a curriculum, Big Day for PreK by Scholastic. They are also beginning work with the Human Centered approach within Design Thinking this summer. It will be a 3 year commitment. We are hoping to have our first vertical conversation in January where we will share PreK and k outcomes with both groups. We will look for commonalities and begin discussion about how to support each other to make for a better transition to kinder. We are going to use a collaborative group that is already established to work on the review process for the curriculum alignment. We need to begin by researching and observing other programs that have pre-K programs already in place. Building leadership team and literacy team include representatives from early childhood through 4th grade. Area of continued focus to create seamless transition from preK thru 4th. 2.4 Create professional communities of practice to empower teachers to learn from each other and to improve instruction. A teacher survey will hopefully be given out by the end of the month to further discussion in this area. Collaborative meetings with Pre-K and Kindergarten teachers. Presentation to district administrators and school board. Incorporate meeting time beginning in January. Have preschool teachers join kindergarten PLC. Work in PLC to align curriculum. Identify criteria for PreK and K entrance. Providing time for vertical teaming to take place. Vertical teaming, and allowing time for teachers to observe others by covering for them. We will be arranging observations so that preK and K teachers can see the kinds of student learning and development that goes on throughout the day in the classroom. Create a protocol and classroom visit reflection sheet to shape the learning path for team classroom visits. We would like to make sure we are involving our School Readiness teachers in different meetings and committees throughout the district. Also, we would like to make sure teacher input is gathered correctly and used to improve instruction. We are currently meeting as PLCs weekly to discuss best practice and instruction. Meeting weekly as PLC leaders will ensure everyone is on the same page. We are doing work with Marzano district wide. We have weekly early childhood collaborative meetings to work together and do what is best for the children. Grade levels meet weekly during common prep time for 45 minutes and on professional development days. Agendas are created and shared back for feedback and support. Focus is curriculum, data analysis, instruction, intervention needs. 2.5 Ensure that staff members are able to support the varying abilities and needs of their students. We are beginning to be more aware of SpEd and making the transition to identifying students who aren't making the progress. SpEd isn't just about discipline, but how the students are learning. We are a small school with one grade level per grade. The Prek-3 leadership team will work together to talk about what worked for some of our students that might work in the next grade. We have weekly early childhood collaborative meetings that include the early childhood teacher and para, ECSE teacher and para, speech teacher, and director. These meetings offer staff a time to share what is working for our kids and what could be better. Grade levels K-4 have a 30 minute WIN time for Tier 1 instructional needs. Schedules have block times to allow for intervention/SPED push in and pull out to avoid disruption of core instruction. During the literacy block guided reading instruction is focused at student level and need. Many classrooms use guided math to further meet needs. Training areas of focus: differentiation/instructional practices. Alignment: Align instructional vision, practices, and support from early childhood to grade three. We need to go back to vertical alignment and see what students are learning in each grade. We are bringing back ideas from the Principal Leadership series to our PLC, we have formed a Prek-3 team. We have set up a family math night for the end of November that will include PreK-3 teachers and families. PreK-3rd grade teams have studied The Literate Kindergarten and have continued discussion of relevant practices, play in particular, throughout this year. Competency 3.1: Promote environments that are rigorous, developmentally-appropriate and support individual learning. Support and implement classrooms that encourage student discussions. Meetings with Kindergarten teachers and Pre-K teachers. Look at more training opportunities to support teachers on personalized learning. PLC work - learning the vocabulary of standards - increasing hands on learning. Administrative level allowing staff to try new strategies. Develop a planning group to address preK-3 instruction/programming. Competency 3.2: Facilitate the use of technology tools for learning and provide instructional leadership in schools to use technology effectively. Utilizing technology with academic and intentional focus (not just using technology for the fun of it). Reframe the definition of "technology" - share ideas with district. Expand preschool representation into K-5 technology committee. Competency 3.3: Support instructional use of appropriate technology and interactive media to support learning and development through work and play. Communicate with parents through technology. Technology Integrationist position at 3 elementary sites (K-4). Provide training for smart table, smart board, iPad integration to support learning with an emphasis on including intentional play to meet learning targets. Competency 3.4: Integrate technology directly into curriculum, student learning, and outcomes. Teachers directly involved with technology for youngest students; scaffolding with prompts. Setting criteria for selecting technology and software. Utilizing Dreambox as a resource to differentiate math instruction. Make curriculum accessible at home (some even utilizing flipped classroom). Districtwide "Technology Boot Camp" prior to the start of the year. Define technology - so we are speaking the same language. Competency 3.5: Help teachers develop their understanding and ability to use technology effectively to individualize and differentiate instruction for each student. Professional development to help teachers understand that using technology is not a substitute for good instruction. Professional development to help teachers understand a variety of ways to use technology. This needs to be individualized, and hands on - not large group. Continuous work and development on center activities. District employs several technology support personnel for hardware/software support and classroom/curriculum support. Integrate iPads and smart table to personalize education for each student. Create time for teachers to discuss how to develop and align instructional vision, practices, and ways to support children and each other. Forming a guiding team PreK-3 to establish a vision and practices to support standards based developmentally appropriate instruction. Incorportating discussions about this competency more into our PL groups. Classroom visits between PreK and Kindergarten teachers. Kindergarten teachers help with Preschool Screening. Vertical PLC meetings. We are trying to communicate more and more in a pre-k model. We are using team meetings to educate Prek and K teachers about the use, and some misuse of assessments and data. Explore more effective assessments that will inform instruction. Increase the use of observation and anecdotal notes to assess student learning. Include Pre-K teachers in our K & 1 Data Retreats. Implement a data warehouse to better inform the teachers and public about student growth. Grade 3 teacher created a fluency folders for reading for her students-parents are to spend 5minutes a day with their child reading a passage. The hope is that parents will understand the importance and see improvements, and children's fluency will increase. Grade 3 created a poster with both reading and math fluency for parent conferences. Ideas for what to do at home are included Taking with school board about different types of assessments and why formative assessments are so valuable. Conversations around formative assessment: Define, create examples. Incorporate dimensions of learning (going beyond activity and product). District-wide leadership teams (teachers and admin) diving into data. 4.2 Support teachers in using multiple forms of assessments, along with observation, portfolios and anecdotal records, to guide student learning and growth all along the Pre-K-3 continuum. Put an assessment team together to start aligning Gold standards to assessment report. We currently use IGDI's for preschool, through MRC. We would like to find a math assessment to assess kindergarten readiness. Develop cross-grade level PLCs with PreK and K to align assessments. Explore FAST as a tool that can be utilize K-3. 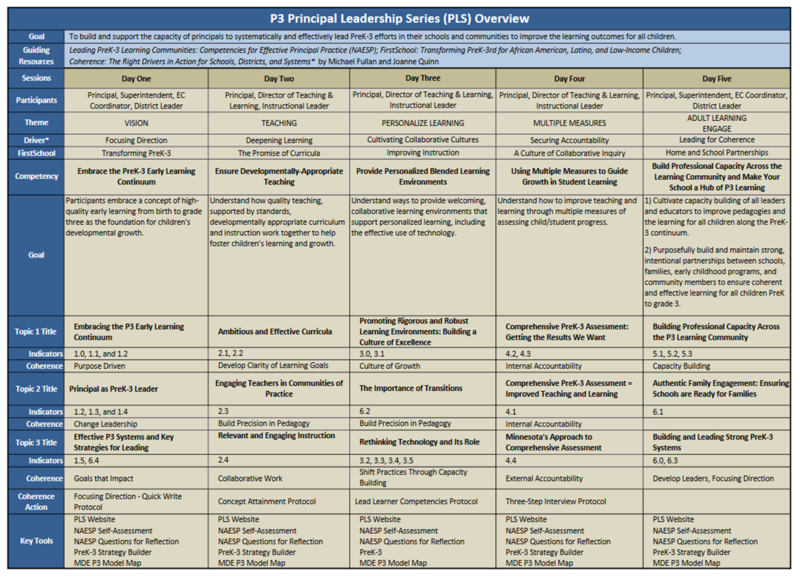 Explore the development of a PLC within the Zumbro Education District for all PreK teachers. This is consistently evident, with practices that elaborate and exceed expectations. Both PreK and K create and use portfolios for each student. This is shared with families throughout the school year. Professional development regarding goals and needs for assessments. Create assessment plan. Share portfolios and formative assessments with child's next teachers. Determine goals and needs for assessments Perform formative assessments to see if goals and needs were met. Early Childhood uses TS Gold -PreKAT (fall and spring) -KAT (summer before K) -Guided Reading -BAS informs small, flexible grouping -F & P Checklist - LLI Progress Monitoring (SPED and Title). We are going to work toward sharing our data with community members and school personnel more frequently and effectively. We have successes, but rarely share the information with anyone. Increase building time and collaboration time for preschool teachers to reflect, look at data, and collaborate. 1. Pull together representation from each level to discuss current ways in which we are assessing student learning. 2. Research schools/programs that are using multiple forms of assessment. 3. Brainstorm options, select multiple forms, and pilot. Document results - looking for the information we were able to collect, acknowledge the information missing. 4. Select tools to represent multiple forms of assessment. 5. Make a plan to train teachers. Develop a communication loop for the parents and community using a various modes of communication. Provide information and discuss with parents what assessment data is used for during conferences, phone conferences. Parent-child math and language arts nights, information about standards and assessment data. We are creating a poster of vertical alignment to hang in school. This will be prek-3. There will be one for math and reading first. Vision 2025 - Academic Work Group - Community Education provided inservice for other preschools and providers to share ideas about K readiness. We feel we could do a better job of this. We feel we need to start the conversation of how to meet/confer b/w PreK and K and the effectiveness of our program with each other. Community Education provided inservice for other preschools and providers to share ideas about K readiness. Cross-level walk-throughs with debriefing -Countdown to Kindergarten. Alignment 4.5: Ensure our PreK-3 learning community has a common understanding of the types of assessments we are using in our classrooms and the purpose of each. We are going to start the conversation on how to make this happen. We feel this would benefit both PreK and K to know and understand what each uses in our classrooms, to better align b/w PK and K.
Discussions of our needs, goals, and use of assessment data and alignment during PLC's Plan consistent use of assessments PreK-3 Teaches decide on what list of sight words to use. Assess and revisit the K-3 Literacy plan, including preschool as well. PreK-K Team meetings. Strategy: Move away from heavy emphasis on standardized testing as the sole judgement of school effectiveness to include emphasis on formative assessment. Alignment 4.6: Ensure teachers have the supports they need in using common and consistent diagnostic and screening assessments, across age/grade levels, to identify children who need extra help or extra challenge. Build in paid time to do this - formative assessments are important; we want to also not abandon summarize assessments that are needed for grant writing and funding, and to ensure standards are being met. Let administration and school board become aware of what supports we need. In each curriculum review, we are moving toward having staff identify trends (based on assessments) to inform practice and make resource and professional development decisions.